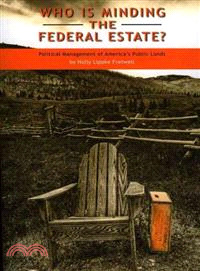 Who Is Minding the Federal Estate? takes the reader on a tour of America's public lands from their history to their current state. Looking from the inside-out and the outside-in, this book helps those interested in conservation and environmental protection gain an understanding of the logic behind public land management. The author invites the reader to be daring and innovative, opening a box of new tools for potential reform that would advance public land stewardship. Holly Lippke Fretwell is fellow at the Property and Environment Research Center. She is also adjunct instructor in the department of agriculture economics and economics at Montana State University.